HOLIDAY GIFT GUIDE: For the Kiddos! For the kiddos and the kids at heart, browse our selection of local gifts for this holiday season! Rainbow Dreamer Coat We can’t contain the cuteness of this rainbow jacket from Waddytoots! 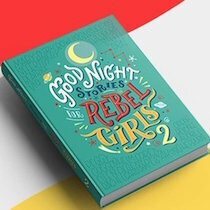 Good Night Stories for Rebel Girls 2 Enjoy 100 more inspiring stories of courageous women throughout history! Perfect for girls, boys, women and men, alike! 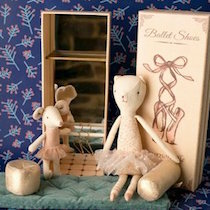 Dancing Cat & Mouse in a Shoebox The cuteness of these playful little dolls rates 12 on a scale from 1 – 10. Available in a variety of animals and outfits at Daytrip Jr.! 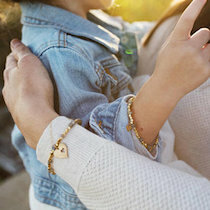 Mommy & Me Bracelet Set A unique and one-of-a-kind gift from Lynx by Rachel Curwen! Allow your child to create a special connection with you (or their grandma, aunt, sister, dad, etc.) with matching jewelry, and be reminded of each other often. 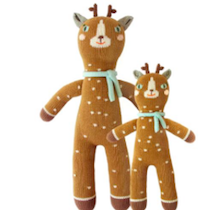 Bla Bla Deer Doll Meet “Jasper”, the friendly-faced plush reindeer! Available at WHEAT Newburyport. New Hampshire Print Designed locally, printed locally, sold locally. 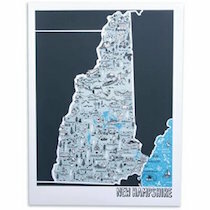 New Hampshire state prints and other happy designs are sold at Gus & Ruby Letterpress. Whirlygig Top It’s the simple things in life, isn’t it? 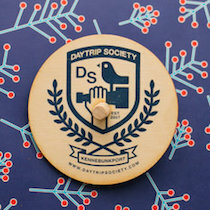 This custom wooden spinner from Daytrip Jr. is a fantastic stocking stuffer for authentic entertainment! 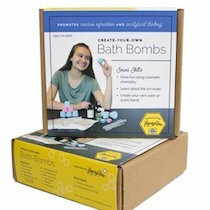 DIY Bath Bomb Kit Give the gift of education, experience, creativity, and fun with the Bath Bomb Kit available at janegee! This product received an award for “Product of the Year” award from Creative Child Magazine this year!